Home | Publications| Encyclopedia | Shirley, Donna L.
SHIRLEY, DONNA L. (1941– ). Aerospace engineer Donna Shirley was born in Pauls Valley, Oklahoma, in 1941 to Dr. Edward and Ada Brooks Shirley. The Shirleys, of Chickasaw descent, were owners of large land tracts in Wynnewood, Oklahoma. Donna's grandfather, Dr. Charles Brooks, the Methodist minister in Wynnewood, served on a commission that set Oklahoma school standards at 1907 statehood. During the 1940s Dr. Shirley set up his medical practice in Wynnewood, and there he and his wife raised their two daughters. At age twelve Donna Shirley read Arthur C. Clarke's book The Sands of Mars. She decided then that she wanted to go to Mars. At age fifteen she took flying lessons and at sixteen soloed at the Pauls Valley airport. Shirley was band vice president, class vice president, and valedictorian in her senior year at Wynnewood High School. She enrolled at the University of Oklahoma (OU) as an engineering student, although the College of Engineering advisor told her, "Girls can't be engineers." She also studied flying at the university, obtaining pilot's licenses in single-engine land and sea, multiengine land, commercial, and flight instructor. She was crowned Miss Wynnewood in 1961 and competed for Miss Oklahoma. Obtaining a degree in technical writing in 1962, Shirley returned to OU to graduate with a bachelor's degree in aerospace/mechanical engineering in 1965. After a short stint as an aerodynamicist for McDonnell Aircraft in St. Louis, she went to work for the National Aeronautics and Space Administration (NASA) at the Jet Propulsion Lab in Pasadena, California, in 1966. She was the only woman with an engineering degree among two thousand engineers. She later completed a master's degree in aerospace engineering at the University of Southern California. While employed at NASA, Shirley worked with the team that designed a heat shield for a vehicle entering Mars's atmosphere. She served as a mission analyst and later as project manager on the Mariner 10 mission to Venus and Mercury. She was team leader on a space station study and led a research team on a Martian rover study. She also served as a project engineer on the Cassini-to-Saturn mission. 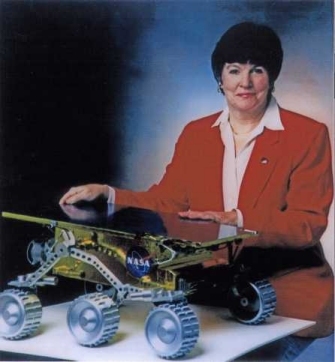 Selected to head the Mars Exploration Program in 1994, Shirley was the first woman to manage a NASA program. During this assignment she oversaw the flight of Pathfinder and Sojourner to Mars in 1997. This highly successful mission of the little rover on Mars helped her realize her dream of going to the red planet. Inducted into the Women in Technology International Hall of Fame (1997) as well as the Oklahoma Aviation and Space Hall of Fame (1998), she has received NASA's Outstanding Leadership Medal and the National Space Society's Wernher Von Braun Memorial Award (2001). After retiring from NASA in 1998, Donna Shirley returned to her alma mater and became assistant dean of the College of Engineering at OU, the school with the advisor who had told her that girls could not be engineers. Daily Oklahoman (Oklahoma City), 17 August 1997 and 28 June 1998. Donna Shirley, Managing Martians (New York: Broadway Books, 1998). "Donna Shirley," Vertical File, Research Division, Oklahoma Historical Society, Oklahoma City. Tulsa (Oklahoma) World, 6 July 1997 and 20 October 1999. Bill Moore, "Shirley, Donna L.," The Encyclopedia of Oklahoma History and Culture, https://www.okhistory.org/publications/enc/entry.php?entry=SH027.